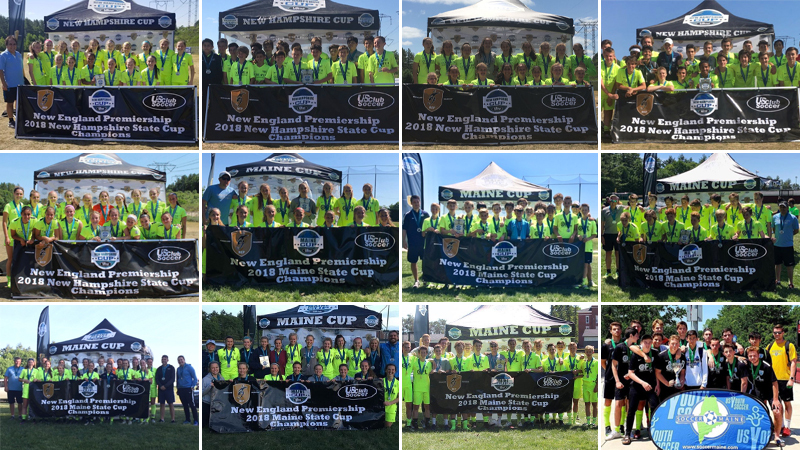 This past weekend, several Seacoast United's soccer club teams were competing across Massachusetts, New Hampshire, and Maine to win the prestigious New England Premiership (NEP) State Cup title against some of the very best teams in the area. SUSC teams from New Hampshire captured 5 State Cup titles; 3 on the girls' side and 2 on the boys'. Seacoast United teams from Maine were able to build in last year's good showing and took home a total of 7 titles. In winning the State Cup title, teams automatically qualify for the US Club National Championship which will take place in Aurora, Colorado from July 20-24th, 2018. A massive well done from everyone at Seacoast United, as we are very proud of our players and staff!